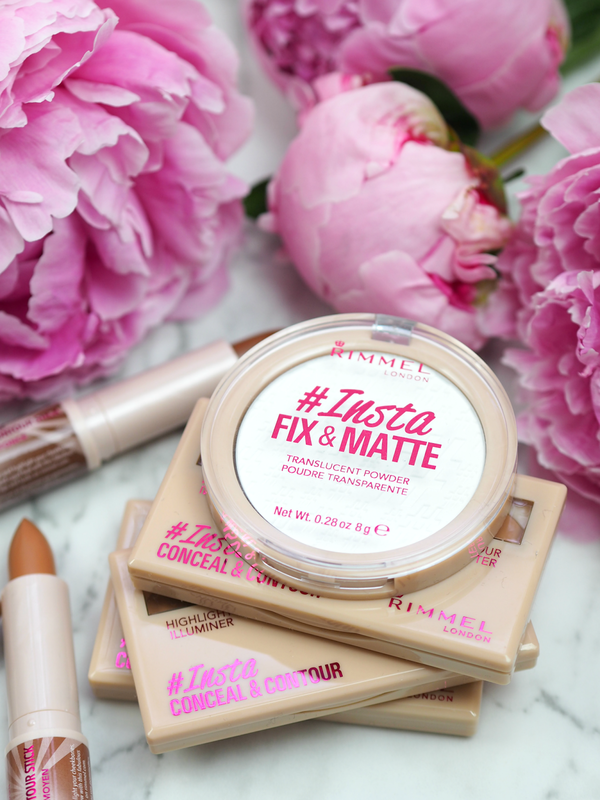 Rimmel London’s New Makeup Claims To Make Us More ‘Instagrammable’: But Do We Really Need It? It’s undeniable that over the last five years that we’ve collectively become just a smidge obsessed with Instagram. Not just a phenomenon that’s engrossed digital natives or those that live their lives online, but the #insta culture has spread far and wide with even the eldest generations getting in on the action. With the obsession of pictorial snippets and inspirational imagery, it’s lead to the growth of the selfie; at any given opportunity we’re all taking snapshots of ourselves and documenting every inch of our lives for the enjoyment of others, so it’s no surprise that many of us are becoming increasingly concerned about chasing that ideal of perfection and using every tool at our disposal to do so. Personally I find it worrying to see my feed increasingly edited, airbrushed and manipulated so the beautiful women I wish I looked like aren’t even real (so much so that when I’ve bumped into them in real life I honestly didn’t recognise them,) but I do completely understand the pressure we’re all under to be the most #instaperfect we can be. skin when faced with the unforgiving forward-facing iPhone camera. 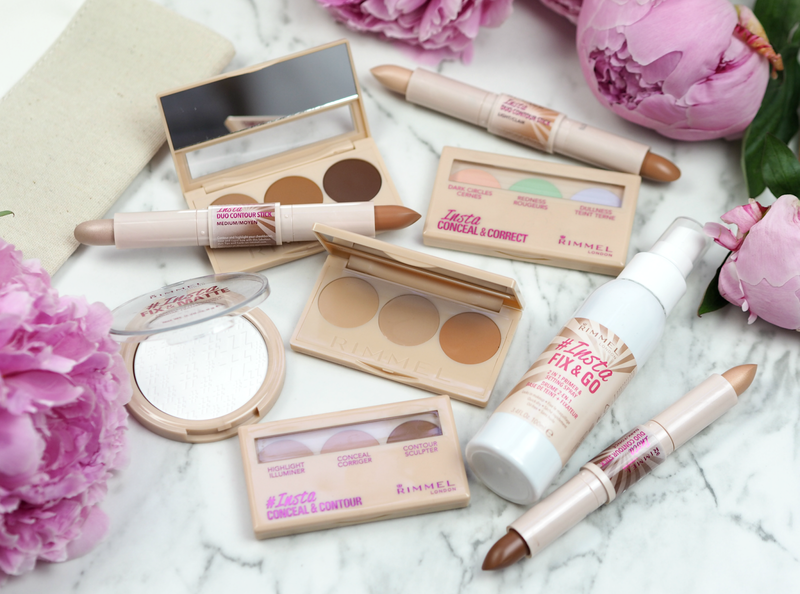 First up there was the Too Faced ‘Selfie Powder Palette‘ which included three shades that helped to ‘enhance your photos’, then Primark created their very own ‘Insta Girl’ collection that contained blue particles to reflect the light and now Rimmel have launched a collection of products that appeals to our inner selfie-addict: including #Insta Duo Contour Sticks, Conceal & Contour palettes, Fix & Go setting spray and Fix & Matte powder, the collection aims to keep us looking perfectly photogenic all day long. Although Rimmel don’t explicitly say these products are to make you look ‘selfie ready’ or are designed to enhance your photos, the implication is definitely there. 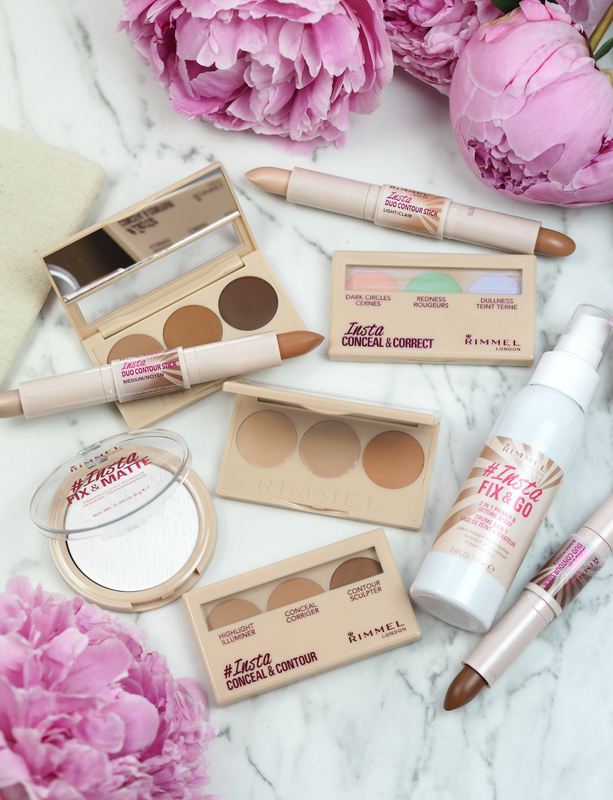 The range includes a contouring and highlighting stick to make the most of those cheekbones, a powder to rid you of any shine, a colour correcting and concealer palette to ensure your skin is flawless and a fixing spray to keep it all in place for as long as possible. 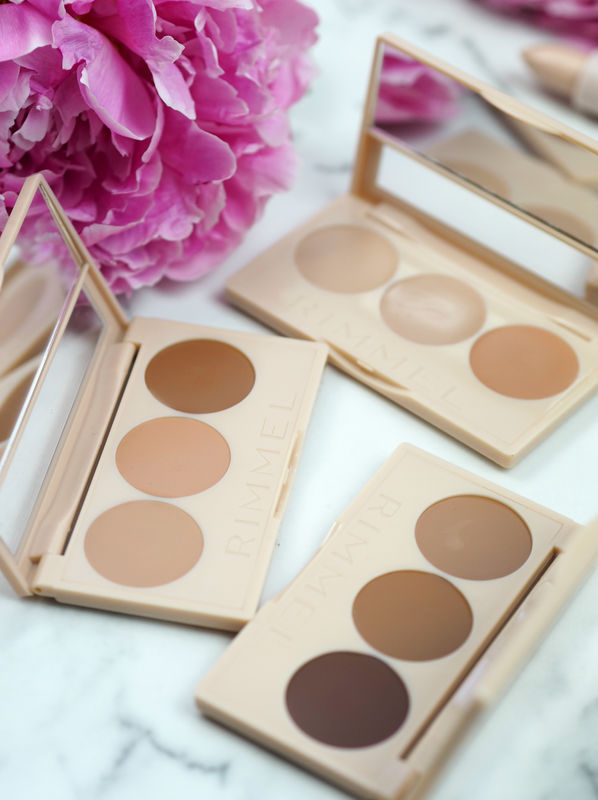 When I first saw the range I was intrigued and excited (I’ve never been able to resist Rimmel,) but the more I thought about it the more I felt a touch uncomfortable: why does everything have to be about looking perfect and achieving that flawless selfie? Makeup should be fun, yes, practical, yes, provide us with confidence, yes; but make us feel insecure about every little imperfection and encourage us to ‘fix’ them all before we take a selfie? Not so much. I’m well aware of how cruel other women can be at pointing out every minor imperfection (I’ve lost count of how many rude comments I’ve had about my weight, my eyebrows or my grey hairs over the last twelve months,) but ranges like this surely exacerbate the problem? Rather than appealing to a young generation of women with negative messaging about those inevitable skin issues (it’s perfectly normal to have pimples, a greasy t-zone or dark circles under your eyes from too many late nights) maybe we should flip the messaging and make it about taking control and ensuring you feel as good as possible for yourself and yourself alone? I’m all for the power of makeup and embrace everything it’s about wholeheartedly, but I can’t help but think we’re all striving for perfection rather than enjoying every facet our individual faces have to offer. As for the products themselves, if we ignore the overarching messaging (rather ironically) they’re actually really good and definitely one of my fave launches of late. I’ve been a long time user of the Rimmel powders over the last twenty years (got that makes me sound old,) but the fact that this one has hashtags on it makes it seem so much more exciting! Translucent so it works with every skin tone, it applies incredibly well to help set makeup and minimise shine, while acting as a great touch up throughout the day when you rebuff a touch into the skin. You can’t go wrong with this. 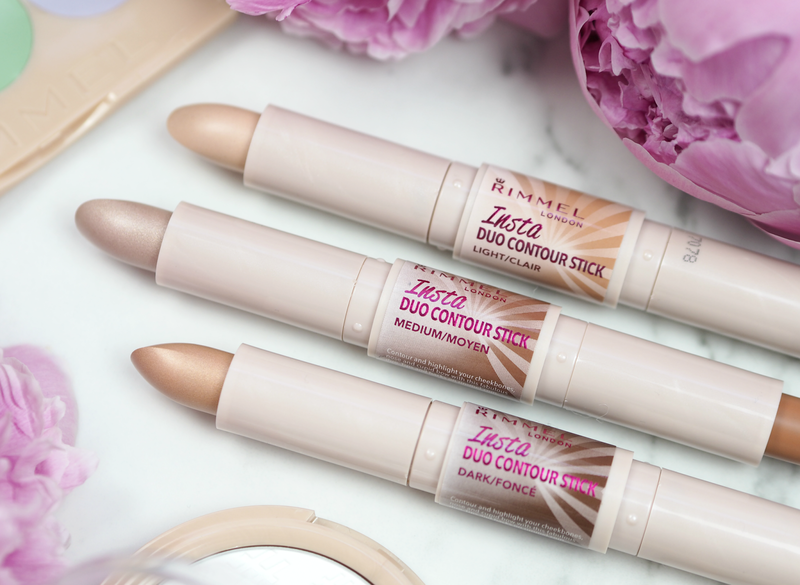 Although I’ve not bothered with contouring for quite some time, I really like these duo sticks. Available in three shades (YEY for Rimmel realising there are darker skin tones out there!) each contains a highlighting crayon and a crayon that adds subtle shadow too; they’re creamy and pigmented without being scary, offering an on-the-go solution or a way to chisel those cheekbones whether or not you have any skill. 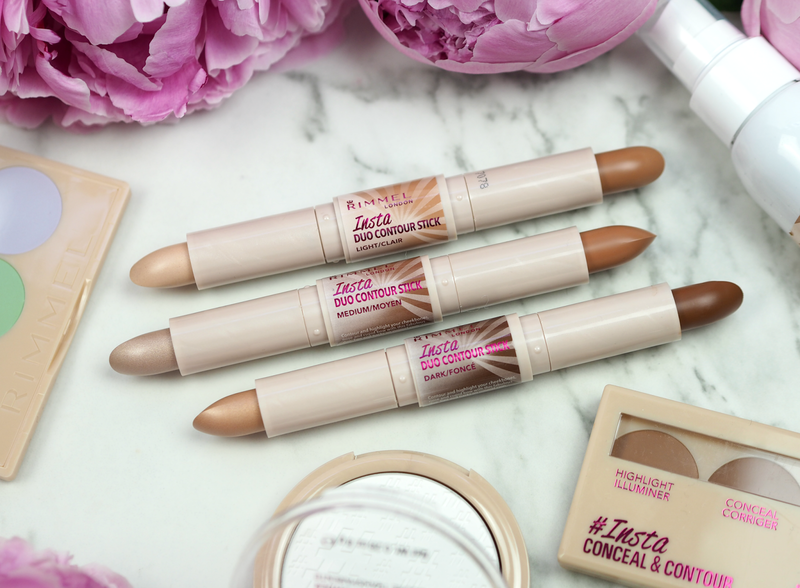 Non-greasy and well pigmented considering their price, these include a highlighting formula, a contouring formula and a concealer. 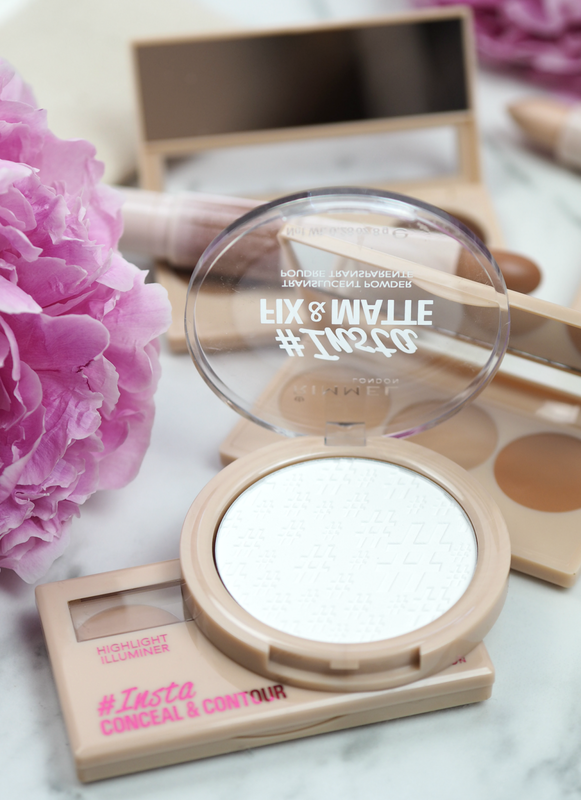 Not really suited for my slightly ageing skin (the dryness tends to sit in my fine lines) but perfect for those 25 and under, the trios are a good daily solution for helping to even out skintone and create a flattering base. 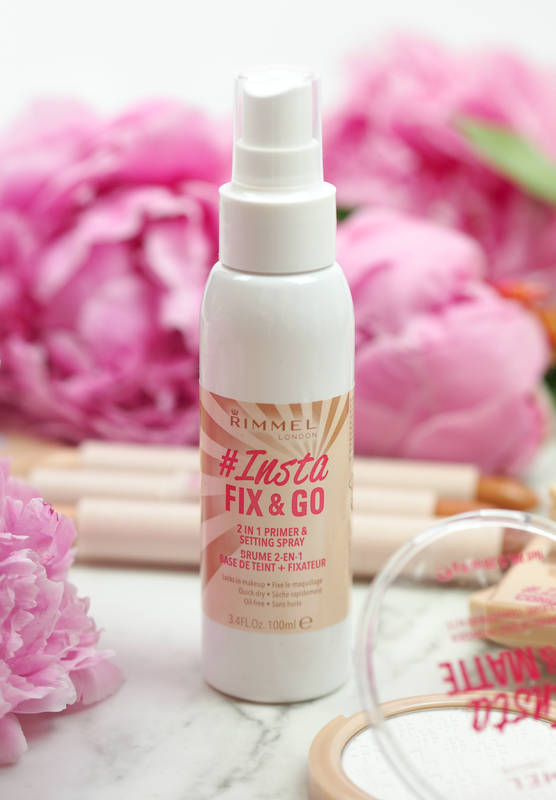 You wouldn’t want to use this and the duo stick, and it’s definitely not my fave of the range, but Rimmel do great basics that always tick a box. Setting sprays are having a moment, especially as we get into the warmer months when our faces have a tendency to slip as soon as we step outside. This spritz is designed to fix makeup in place and provide a boost of hydration when used throughout the day, but from my experience it didn’t do much other than refresh me during a warm afternoon on the tube. Less fixing and more refreshing, I think this will be popular during summer but doubt it will be a re-purchase. What do you think? Are you a touch fed up of so much focus being on creating the perfect selfie, or do you think I’m just reading to much into a fun and effective range from one of the UK’s most loved brands? The Rimmel London #Insta range is available online and in stores nationwide, priced from £6.50. While I appreciate make up artristry on Instagram, let's be honest that in real life doll like eyelashes, blown up lips with blinding highlight look quite scary. Of course, insta make up is aimed at selfie generation so I cannot say it is pointa, but my aim is to look the best of my real self. You're so right – there's the exaggerated makeup of insta, and then how it translates to real life. I'm just happy to cover my dark circles! Ha. It's a shame they haven't just created great new range additions – because, like you say, it's a trend that will pass and these will prob be discontinued. It definitely is – give it a go if you have concerns! Green is good for redness and yellow sallowness/dark circles. Personally unless I'm looking rough or it's for a big night out I don't bother, but these are worth a try! I think it's a branding gimmick for youngsters, which will no-doubt give them the selfie look they're after – mainly because the age range they're targeting these products to don't actually need makeup, correcting or any of that stuff. So they'll probably come out looking 'insta' perfect. But for us older makeup addicts, the products will fall short. But thankfully we won't fall for it, and by the time the kids have worked it out, the range will be obsolete….. Man, do I sound bitter….. eek!